The Indigenous Peoples Task Force (IPTF) has launched a $3.5 million capital campaign to build a new Center for Art and Wellness, to be called Mikwanedun Audisookon. The Ojibwe name, chosen with the help of elders in the Native community, translates as “remember our teachings”. Mikwanedun Audisookon will be located adjacent to IPTF’s existing offices and housing at East 24th Street and 13th Avenue South in the heart of the Phillips neighborhood in Minneapolis. 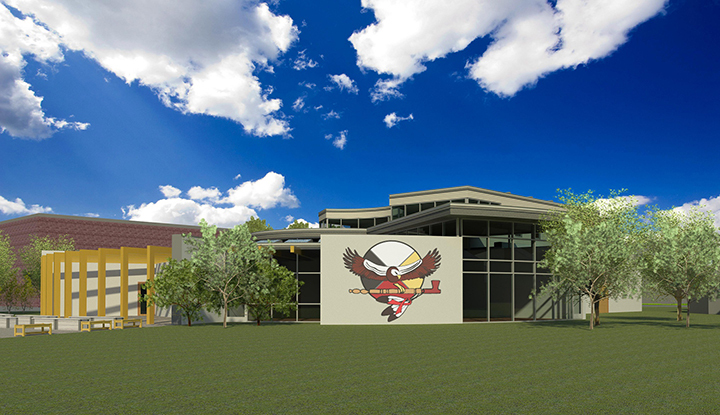 Built of indigenous-based building materials and utilizing renewable energy, the state-of-the-art facility will allow IPTF to consolidate its programs and expand its ability to improve the stability, health, cultural vitality, and economic growth of the Native American and South Minneapolis communities. IPTF’s work is grounded in Native cultural and healing practices passed down through generations. Mikwanedun Audisookon will provide an urban sanctuary where body, mind and spirit can become whole. IPTF, formerly known as the American Indian AIDS Task Force, was the first organization in the nation to provide housing tailored to the needs of Native Americans living with HIV. Its successful development, Maynidoowahdak Odena, is a 14-unit permanent housing and supportive services program adjacent to the new Mikwanedun Audisookon site. 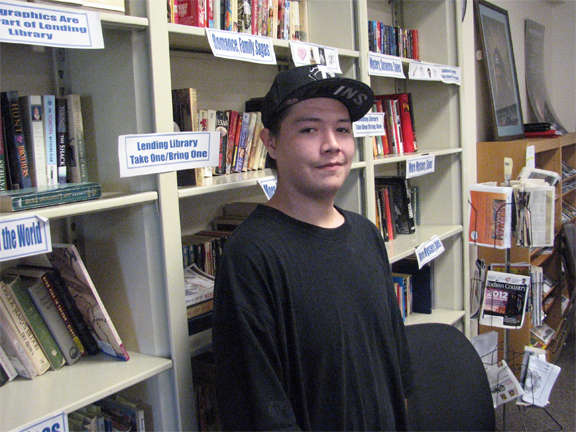 With an operating budget of $1 million, and serving more than 1,500 youth and adults annually, IPTF has been an innovative provider of culturally appropriate health, education, housing and case management services for Native Americans for more than 25 years. IPTF weaves theater, experiential learning and traditional arts and crafts into its work, especially in programs designed for indigenous youth. In addition to serving people with HIV/AIDS, IPTF’s culturally sensitive, experiential approach to HIV prevention, women’s health, tobacco cessation, and childhood diabetes are modeled across the state and nation. This same unique and highly efficacious approach will be applied to the new programming opportunities the Art and Wellness Center will provide. Under the leadership of Executive Director Sharon Day, (Ojibwe) IPTF has also emerged as a growing leader in the movement to protect and sustain land, water and indigenous seed resources. 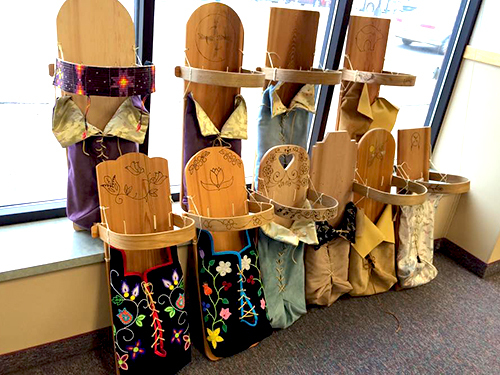 · A studio/workshop for training and entrepreneurial development in traditional arts such as cedar box construction and black ash basket making. · A commercial kitchen and garden which will include Native medicine and food plants, and provide training and the development of value added products based on traditional, healthy foods. · An intimate theater space that will allow IPTF to expand on its successful Ikidowin Program, a youth theater initiative which educates youth on pregnancy prevention and other issues. · An intimate gallery that will provide space for the exhibition of both traditional and contemporary art and craft. · Training and certification in green building technologies during the construction phase, utilizing compressed earth block (“CEB”), photovoltaic and geothermal energy, along with water quality best management practices. · Improved community safety, economic stability and relationship building by welcoming youth and adults of all backgrounds. · Increased value of adjacent property. · Reduced crime from increased foot traffic to and from the Center for its trainings, programs and projects. · Increased arts and cultural programming with hands-on creative opportunities for both youth and adults. IPTF is allied with a number of community based organizations, including Minneapolis American Indian Center, Minnesota Indian Women’s Resource Center, Waite House, Indian Health Board, Guadalupe Alternative Programs, Open Arms, Native American Church, Little Earth of United Tribes, American Indian OIC, and Women’s Environmental Institute. In addition to local partners, IPTF collaborates state-wide with numerous Native agencies representing Minnesota’s eleven Tribal communities and nationally with HIV and environmental organizations. Mikwanedun Audisookon Center for Art and Wellness will be the latest in a series of Native-driven development initiatives in the Phillips neighborhood of Minneapolis; these developments include the Franklin Cultural Corridor featuring All My Relations Gallery, Pow Wow Grounds Café and the new indigenous-inspired mural at the Franklin Avenue LRT Station. Exclusive development rights have been secured from the City of Minneapolis to build on the Phillips site. Total projected cost is $3.5 million with groundbreaking scheduled for spring, 2017 and construction completed by August, 2018. For more info, email Sharon Day at sharond@Indigenouspeoplestf.org, or call 651-325-8077.